I just found out there are 40 new markets implementing ATSC 3.0 this year. This will be simulcast so don’t worry about your Tablos ceasing to function any time soon. I will be keeping my eyes open for an adapter that works with my TV however so I can test the new service. We are a long way from ATSC 3.0 taking over. EDIT. 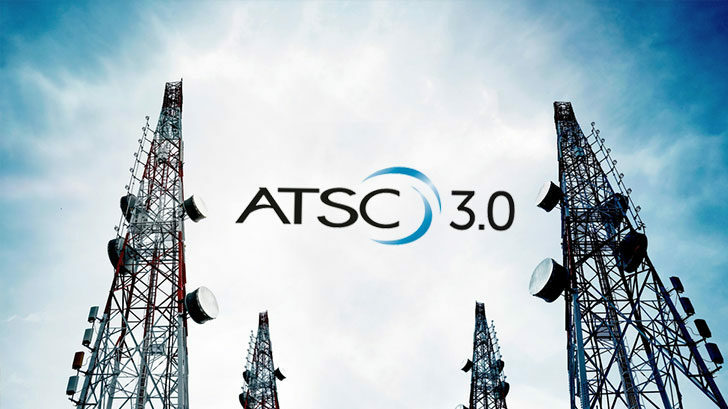 I wanted to add this link for those that want to know more about ATSC 3.0. Is there any information available as to the implementation dates for the individual markets and/or what stations will be broadcast? So… they’ll implement a new standard… that nobody can see… because there aren’t any atsc 3.0 TVs in the us yet. And i’m reading about the FCC encouraging stations to share transmitters to broadcast “degraded” atsc 1.0 during the transition. I’m just not feeling warm and fuzzy about this. This isn’t being driven by the FCC. It’s industry driven. Originally there were only two FCC rules. That on the official(non-pilot) switch to ATSC 3.0, the original primary ATSC 1.0 broadcast channel needed to be continued for 5 years. And the FCC wasn’t going to assign any new channels. This led to the industry plan to lighthouse ATSC 1.0 channels. So in each market any plan to use ATSC 3.0 would probably require two or more stations to get into a business relationship to share channel frequencies. We are getting close to the release of tuners but even if you can’t see it important testing is going on. They have to see how things interact. RF is tricky and all the computer modeling in the world can’t predict every situation. TiVo has even began to test a tuner adapter for their devices. I haven’t found anything but Sinclair is jumping in head first so if you have a station owned by them you can bet they will be among the first and they have stations in pretty much every market. Ugh… what they “tested” is a fake. It’s a PC that is using an ATSC 3 tuner and outputting IPTV which they’ve hacked into the Bolt for record/play. Ugh… what they “tested” is a fake. I won’t call it fake but it sure is a kludge of a system. At any rate anyone that wants to view ATSC 3.0 and is in a test market can finally do it for the low, low, price of $900 -$2000 dollars. I tracked down the tuner they used. I would love to get ahold of the software and firmware they were running. It would be fun to play with and see what other IP streams we could send to a Tivo. It’s a fake. I don’t think Tivo is trying to provide generic recording of all streamers or anything like that. Now, if they do “release this”… because they did hack it up to make it work, thus, it’s not truly generic, it will be a “sad solution”. Do you really want to glue in a PC to make your Tivo work? First, I’m not a Tivo person. I don’t believe TiVo will release anything that looks like this. Things shrink system on chips are born. This is a proof of concept to get people talking. I’m picturing a networked box to serve multiple TiVo devices or one that plugs into a USB port. Perhaps even a TiVo box that can slave it’s 3.0 tuners out to other TiVo boxes. It’s really too soon to tell. I expect years of development before we see the final product. There’s no profitable market for it yet anyway. Tivo should not be defended for their farce. IMHO. Doesn’t Maxlinear already have an ATSC 3.0 tuner. And it appears to selectively support all the current standards. XCODE CPU? Will products support all the ATSC 3.0 extensions? How it will be productized? It appears so from you link. I’m still waiting for one I can buy at a reasonable price. I know it probably won’t be worth the upgrade but I’m a radio geek(amateur radio) so anything RF peaks my interest. These new ATSC 3.0 dongles also get my interest because they might be hackable for other bands. EDIT: Not really other bands since they cover a large spectrum but I should have wrote “I’m interested in them for other uses”. As a radio geek have you looked at SDR (Software Defined Radio)? There are some inexpensive USB dongles (RTL-SDR) for getting satellite telemetry data and airline communication. Fascinating stuff. As a radio geek have you looked at SDR (Software Defined Radio)? Absolutely! I’ve used those SDR dongles on desktop computers, on my phone, on my tablet, and a RPI. They eat your battery fast in a phone or tablet so the better option is to plug them into something else and remote control them from a portable device. Another interesting thing they can do is act as a cheap Police scanner. They can also listen to pager traffic. The expensive SDR dongles can even transmit. One guy built a working cell tower with his own sim cards. It’s essentially a private cellular network he takes to hacker events. His system doesn’t just pretend to be another companies cell tower like the ones you hear about in the news that spy in people. His is more like the whole cell company. @jimtablotv take a look at this video. Jason Justman from Sinclair Digital discusses ATSC 3.0 - comparing ATSC 3.0 to SDR. It’s a superb look at the ATSC 3.0 technology from both the hardware and software side. He is absolutely right in comparing it to SDR. ATSC 3.0 looks to be amazing! Can’t wait. He does an amazing little stream capture test using a program he wrote with the RedZone USB tuner. The transmission packets for 3.0 are IP and therefore processable as TCP data streams. Another change for DVRs. He then reconstitutes the video from the data stream online. An IP based transmission scheme changes everything except the antenna. But it should also make OTA reception easier and more reliable. What’s incredible is when he discusses packet recovery, Traditionally when transmission is interrupted we see a blip on screen. Under 3.0 packet recovery is possible to “repair” interrupted video. All of his source code is publically on GitHub. As he says, 3.0 is a game changer. If it’s like SDR, it will be great. I don’t believe most DVRs transcode. My last DVR just put the data into a container file. All of his source code is publically on GitHub. As he says, 3.0 is a game changer. I wish I could make use of his source code. The dongle is a little pricey. If it’s like SDR, it will be great. I’m not sure what you mean here. 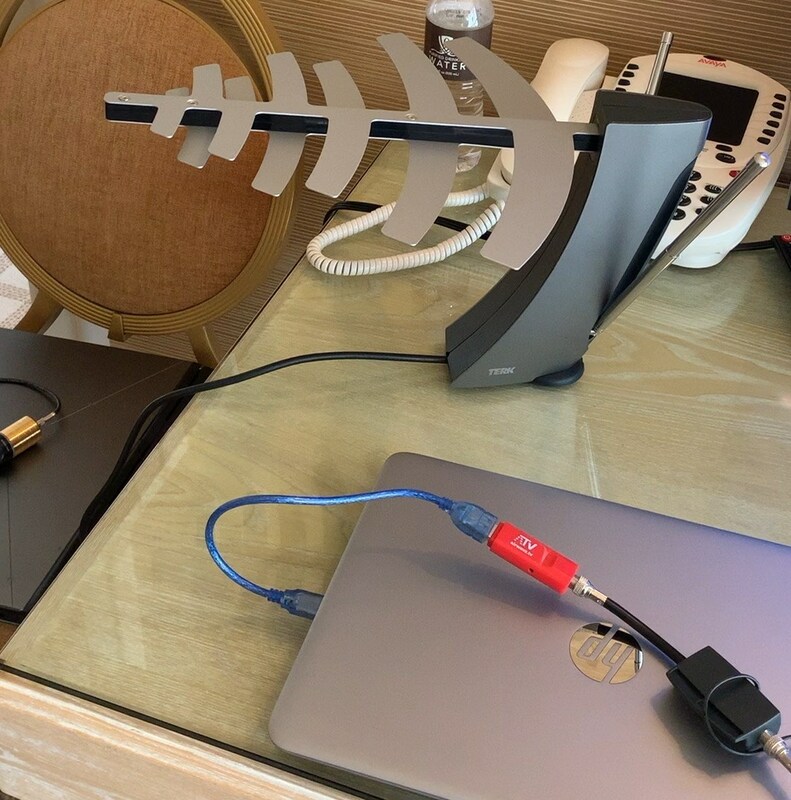 I believe that dongle already qualifies as SDR. What part do you want to be like SDR? Sounds great; but I fear it will just be used to cram even more highly-compressed sub-channels into the “channel”, as well as bring us the wonderful world of banner-ads to our Televisions (as if giving up that lower-third was no big deal). We almost have that already with the mega-intrusive “promos” for TV shows that disgrace the bottom-third of some TV channels even now. I think we will end up with more highly compressed High definition channels although surely some will want to go the other direction and add more channels too. It appears they plan to sell data channels as well which will take up some bandwidth. I don’t know about a format change but I bet the will get poorly implemented targeting. I’m more excited then anyone should be but that’s really because I’m interested in the underlying technology. Assuming they deliver I will be glad too see new options for mobile devices. Don’t get me wrong: I love the IDEA of IP-based OTA TV! It will greatly simplify several things. Essentially, it will turn our TV sets (even more) into YASP (Yet Another Stream Player). Which is likely a good thing, overall. It’s just that everything has to be “Monetized” these days. In the past it was soap commercials. Now it will be a thousand-and-one-continuously-popping-up-Banner-Ads. We’ll soon need the “Bottom-Third-Trimmer” box to interpose between our output devices and the TV set! If you’re wondering specifically about an ATSC 3.0 capable Tablo OTA DVR, we have no plans for one today. Like others in our industry, we’re keeping an eye on the progress of this transition and are always evaluating new technology that we could potentially include in future versions of our DVR products.